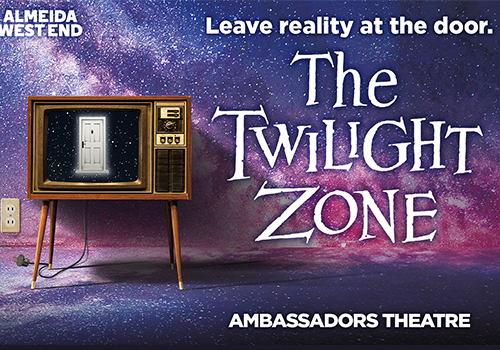 The Twilight Zone transfers to the West End’s Ambassadors Theatre, primed to spook and unsettle its audiences in grand style. Adapted by Anne Washburn from the TV series of the same name and directed by Richard Jones, the show premiered at Almeida Theatre in December 2017 where it received critical acclaim. The Ambassadors run kicks off in March 2019. 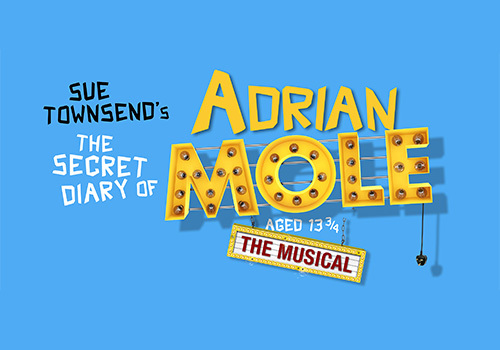 Sue Townsend’s best-selling novel The Secret Diary of Adrian Mole comes to London’s West End this summer in an acclaimed musical adaptation. Adrian Mole’s iconic diaries chronicle the timeless tale of teenage angst, family struggles, and unrequited love. The Ambassadors Theatre’s box office is located within the theatre building on West Street and is open Mondays and Thursday to Saturday 10am to 8pm and Tuesday, Wednesday and Sunday 10am- 6pm. Pre-purchased tickets can be arranged for collection at the theatre’s box office within the hour before the show starts. If you plan to collect your ticket you will need the card you used to make your purchase along with your booking reference. The Ambassadors Theatre is relatively young in comparison with other West End theatres, built as part of a pair with the adjacent St Martin’s Theatre. Whilst there were some early productions such as Odds and Ends (1914) and Pell Mell (1916), the rate of producing dwindled during the onset and aftermath of World War I. After the First World War, a number of performers established their careers on the Ambassador Theatre stage, including Ivor Novello in Debrau (1921), Vivien Leigh in The Mask of Virtue (1935) and Hermione Gingold who starred in If (1921). Following these acclaimed performances, three revue shows took place: Sweet and Low (1943), Sweeter and Lower (1944) and Sweetest and Lowest (1946). Revue shows defined the early to mid 20th century, until Agatha Christie’s thriller The Mousetrap famously made its world premiere in 1952. The whodunit ran at the Ambassadors Theatre for a hugely impressive 22 years, before transferring across the road to the St Martin's Theatre. The Mousetrap continues to this day, and is the West End's longest-running show. As the popular play transferred, the venue saw shorter runs of plays such as Journey's End (2005) and musicals such as Sweeney Todd: The Demon Barber of Fleet Street (2004) and Little Shop of Horrors (2007). Towards the end of 2007, Steve McNicholas and Luke Cresswell's ever-popular dance-come-musical Stomp transferred from the Adelphi to the Ambassadors, and over the years smaller shows have run at alternative times, including Broadway musical The Secret Garden (2016) and The Very Hungry Caterpillar (2016). The Ambassadors Theatre is also the resident venue for the National Youth Theatre, who have produced productions such as Wuthering Heights (2015) and Private Peaceful (2014). A variety of productions played limited performances, with The Very Hungry Caterpillar returning in 2017, alongside several National Youth Theatre productions, whilst Stomp continued at the venue. Following the closure of long-running entertainment show Stomp, the Ambassadors Theatre established its name as a producing house with the transfer of the National Theatre's critically-acclaimed Beginning, followed by a transfer of new musical All or Nothing - The Mod Musical, which moved over from the Arts Theatre. Further productions included a short run of Anthony Horowitz's Mindgame and a transfer of David Haig's critically-acclaimed wartime thriller, Pressure. Joanna Murray-Smith's play Switzerland transferred from the Theatre Royal Bath. In 2019, Bernadette Robinson's show Songs for Nobodies played at the theatre. From March, the theatre will host the Almeida Theatre transfer of The Twilight Zone, based on the cult TV show. During the summer, the acclaimed production of The Secret Diary of Adrian Mole Aged 13 3/4 - The Musical will play at the theatre. The musical is an adaptation of Sue Townsend's best-selling novel.